Each team member at the CAC plays an integral role in the healing process for the family. The goal of a CAC is to reduce the trauma for the child. To truly understand what a CAC is for it is important to think of the child telling a story of abuse that occurred to them. Without a place like a CAC a child would need to keep repeating their story to different professionals. 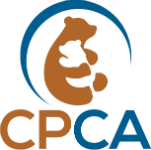 The CAC houses all disciplines to keep the child as comfortable as possible, and have all professionals come to one location.